Discussion in 'VaporJoes USA' started by VaporJoe, Sep 14, 2018. The Drop RDA is a collaboration between Digiflavor and The Vapor Chronicles, they've developed a 24mm diameter rebuildable dripper. The RDA has a unique four post build desk, with horizontal multi air slots in a T shaped design. The design of the RDA leaves a lot of build space to accommodate large coils. Large amount of airflow is let in by the 12 airholes on each side, in the T-Shaped design. 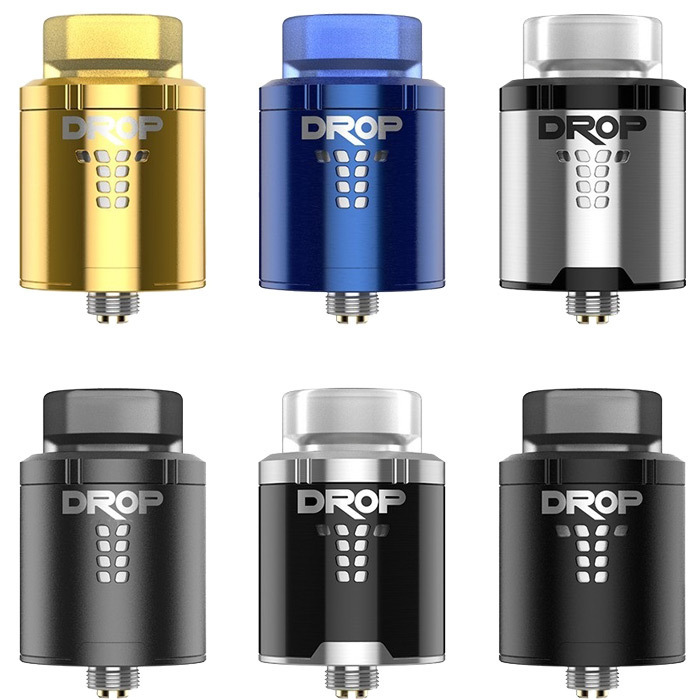 Digiflavor Drop comes with multiple drip tip options for you to customize.